I am also as a University Lecturer, lecturing in Counselling Psychology to undergraduate and doctoral students. 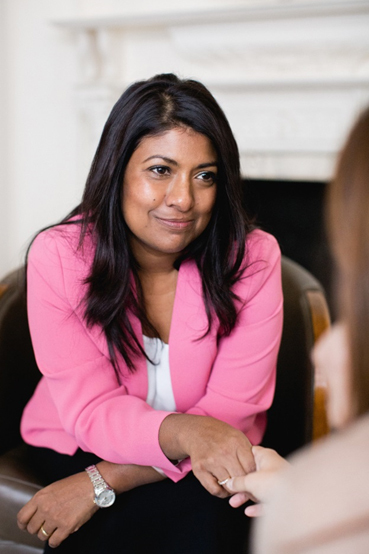 I am an appointed Clinical Supervisor with the British Psychological Society, and supervise doctoral trainees within the NHS on a weekly basis. I regularly work as an External Examiner for the Psych D Psychology Doctorates. I also have over 15 years of experience in working with mental health issues such as anxiety and depression, compulsive and addictive behaviour, eating disorders, and patients and carers of terminal illness. I was referred to Dr Angela Mooney from a Doctor who spoke highly of her. I was a little dubious as I’d heard that before about other therapists. I was at a point where I was crying all the time, drinking too much…..I thought I’d never get better. I was referred to Dr Mooney after years of being in and out of therapy. I had felt ok for a while and then the same problems came back. Angela told me within the first session what she thought my main issues were. She was compassionate and (very) direct. Her insights were challenging, but they changed my life. I stayed in therapy for a good while. I needed it. I remain happier, calmer and more content now than I have ever been in my life, thanks to her.